The Tecsun PL-398-BT portable shortwave radio. 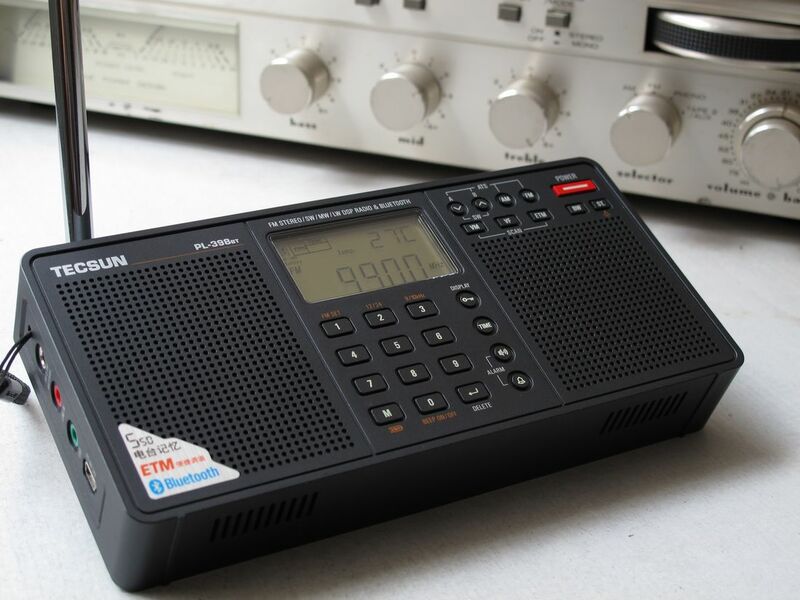 The Tecsun PL-398BT is a portable DSP-based shortwave radio. The PL-398BT is new to the market as of October 11, 2011. It is available via distributors on eBay–please click on our search link at the bottom of this page. Its predecessor is the Tecsun PL-390. It is certainly a familiar Tecsun design and layout–ergonomics appear to be in-line with their current models. The biggest new feature on the Tecsun PL-398BT is the implementation of Bluetooth technology. This is a feature which has never been designed into a portable shortwave radio thus far. For the first time, you can wirelessly connect your radio to laptops, mobile phones and the many other Bluetooth devices to play music, news and other broadcasts. I see this as a useful feature to those who would enjoy listening to their radio at work, but have to place the radio a distance from their computer to limit noise interference. Bluetooth technology and wireless connectivity. SW : 2300KHz to 21950KHz. AM IF bandwidth : 1, 2, 3, 4, 6kHz. Easy Tuning Mode function (ETM) for FM, MW, LW & SW bands. Auto Tuning Storage function (ATS) for FM, MW , LW & SW bands. Multi-function Digital Display: Frequency, Signal Strength, S/N ratio, Clock & Alarm, Temperature (°C or °F) & Battery Consumption. This would also appear to be a good candidate for Ultralight DXing, though it could not officially be considered an “ultralight” without approval from the Ultralight Committee. Media Network Plus video January 2012 from Keith Perron on Vimeo. This entry was posted in Portables, Tecsun and tagged PL-398BT, Tecsun, Tecsun PL-398BT. Bookmark the permalink.